Growing up on a farm, I learned, early and often, that "the land" is the source of life. "It's the land, Katie Scarlett" as a succinct statement of family values could have served my own father as well as it did Gerald O'Hara in Margaret Mitchell's novel Gone with the Wind, 1936. I remember the sweet, rich, ancient, earthy odor that filled the air when Daddy broke our last bit of native sod. I remember that he did so only in response to governmental regulations that he feared would prevent him from ever being able to cultivate that land if he didn't plant it that year. Family legend preserves the words he spoke to Mother when their first irrigation well pumped water from the Ogallala Aquifer, "Well, it's done. If we're lucky, the water will last long enough to get the kids through college with maybe enough left to buy you a brick house in town." Unlike, most we never expected that "the water will never run out." We never wasted water, not on the farm, not in our home. Yes, the water paid for three kids to graduate from the colleges of their choice: Rice University, Texas A&M, and Texas Tech. Finally, when the "water ran out" to the well that supplied the house, Daddy & Mother bought a brick home in Floydada. 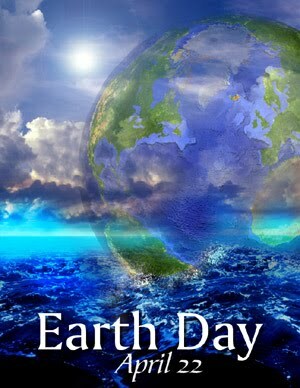 I remember the first Earth Day in 1970. That was the date I added "environmentalist" to "conservationist" as part of my self-definition. The next year, I took the only "free elective" of my undergraduate career. When one changes majors multiple times and with only 3 semesters left switches from Science & Engineering to English Literature and still graduates in 4 years, there just isn't freedom in course selection. The course I chose was Environmental Stuides, which could be taken as a science, as a social science, as economics, as political science, as history, or as a humanity. On the course reading list was Silent Spring by Rachel Carson: "Only within the moment of time represented by the present century has one species -- man -- acquired significant power to alter the nature of his world." DMP's second masters degree is in Environmental Science & Engineering. In our home, we have always recycled; we have always made decisions that reduced energy useage; we have always been careful of pesticides, herbicides, and plant selection. We have a reasonable, rational, scientific understanding of the earth as an interwoven web of life which is sufficient reason for our ecological views. However, these views are also informed by our faith. DMP and I have always understood our relationship to the earth as an issue of Christian stewardship. As Christians, we believe that "in the beginning, God created..." and God said, "let the earth bring forth..." and it was "very good." In the second chapter of Genesis, God's command to humankind was "to take care of" the earth. The Hebrew text is always richer--that simple phrase "to take care of" is וּלְשָׁמְרָהּ. shamar meaning "to hedge about... to guard, to protect, to attend to" [which reminds me of The Law] and "to beware, to be circumspect, to take heed to oneself" [which says that personal behavior matters] and "to keep, to mark, to look narrowly, to observe, to preserve, to regard, to reserve, to save" [which means paying attention and taking action]-- and all those shadings in meaning color that command, defining the relationship of humankind to the earth. Quite literally, we all stand on this common ground and we must work together to וּלְשָׁמְרָהּ. the earth.